The explosion of cryptocurrency investments has brought on a new class of influencers on social media. There’s a myriad of different types of influencers. Some popular channels are Youtube, Twitter, Facebook, Telegram, and even Steemit. In other countries popular networks include WeChat and Naver. Despite there being no shortage of platforms or influencers, it’s important to filter out the signal from the noise when it comes to qualifying influencers. In this article we’ll explore the variety of different traits that we use to evaluate the efficacy of advice that comes from crypto-influencers. The obvious initial qualification metric for crypto influencer is assessing the historical performance attributed to their advice. You can assess this by tracking the quality of their past coin-picks. For instance, if an influencer is simply shilling coins for profit, it’s highly unlikely for all their coins to perform. It’s important to evaluate the performance of prior coins that a influencer recommended as a leading indicator of how their future picks will perform. It’s a sign that they have good judgement, and know what’s important when it comes to crypto picks. While token-price is an important dimension to assess these projects, it’s also important to assess these projects for a variety of other qualities. For instance, it’s important to consider the future potential of projects. One must apply the same scrutiny level as your other investments. Overall, one must treat advice from influencers as lightly-qualified leads. It’s always important to do your own research and to take any advice you get with a grain of salt. Once you find a crypto influencer that can be trusted, you can use them as a benchmark to evaluate other influencers. When you hear a coin being lauded by multiple influencers it could be a good sign, as long as one of the influencers is reputable. Influencers may have varying opinions for why a project can succeed. If an influencer (with historically good picks) is bullish about a project, and they can make salient points to support their rationale, it could be a good sign if multiple influencers also voice their support for the project. Reputable influencers understand that the quality of their advice is the leading factor required to grow their brand. Given that, there is a finite number of good projects released every quarter, one will find that leading influencers may sometimes congregate around the same projects. Additionally, when a number of influencers create a lot of attention around a project, it also increases the project’s chances of adoption. The term “bagholder” is commonly used in the crypto-community to describe a biased opinion from individuals that hold a vested interest in a project (usually one that’s currently performing poorly). Bagholders clearly have biased opinions because they have economic incentives to constantly shill a project to build hype around it. It’s a natural bias for them to defend their own economic interests. This is an important aspect to consider before heeding the advice of an influencer. Have they mentioned this project in the past? Do you know of their interest stake in the project? One must always take in consideration the many biases that influencers may harbor while supporting a project. In addition, some influencers are known to take funds or equity to voice their support of a project. This is clearly a conflict of interests as their opinions are moot. The only reason they publicly express these opinions is to earn money. It’s important to investigate into the vested interests of influencers to understand their particular biases. Biased opinions are not necessarily true. Following untrue advice may result in losses that will be reflected in your portfolio. An interesting way to assess the quality of an influencer is to assess the quality of their following. The logic is simple — If you notice the “followers” of a particular influencer are all uniformed and somewhat ignorant about how crypto works, it’s clearly a red flag. A good way to do diligence on an influencer is to evaluate their following. On Twitter and other platforms you can visit the profiles of existing followers. You can evaluate the tweets, and the rest of the content on their profile to try to determine how experienced and knowledgeable they are in the field. There are different categories of followers that vary from different levels of blockchain understanding. Better influencers usually have better followers who have a more in-depth understanding of blockchain concepts. Sometimes evaluating the worst picks made by an influencer can be as useful as evaluating their best picks. Evaluating their worst picks can be a way to find glaring weaknesses in their evaluation process. In addition, it can serve as evidence to support claims that an influencer is taking money to promote a project. For instance, if they have a reputation of sharing reputable projects and suddenly there’s a project that’s suspiciously-low in quality, it can be a sure sign that they’re taking money to promote projects. In addition, everyone will have lapses in judgement from time to time regarding investments. For influencers, not every project they publicly support will succeed. It’s important to understand why or how an influencer’s bad picks turn out to be unsuccessful projects. On the Hilo.io platform you can follow crypto-influencers and the % compositions of their portfolios. We feel that influencers play a big role in the crypto community overall. On Hilo you can follow their research and opinions in real time. Hilo.com was designed for cryptocurrency enthusiasts of all levels. 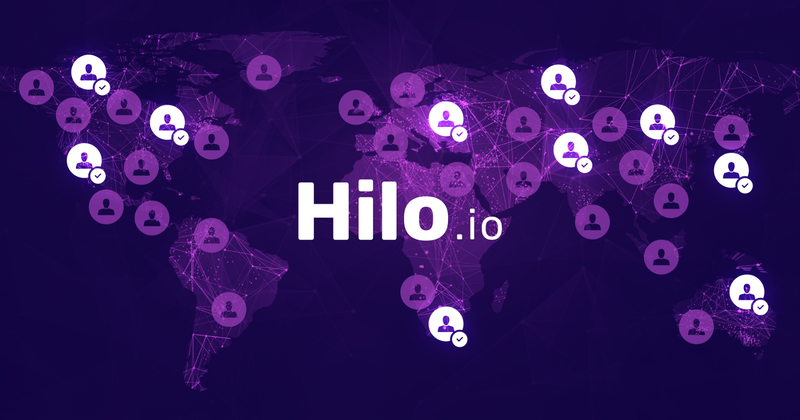 You can join our waitlist now on our website: Hilo.io. If you’re an influencer, it may be advisable to claim your handle on Hilo.io as well. Handles are unique to each individual’s user account.